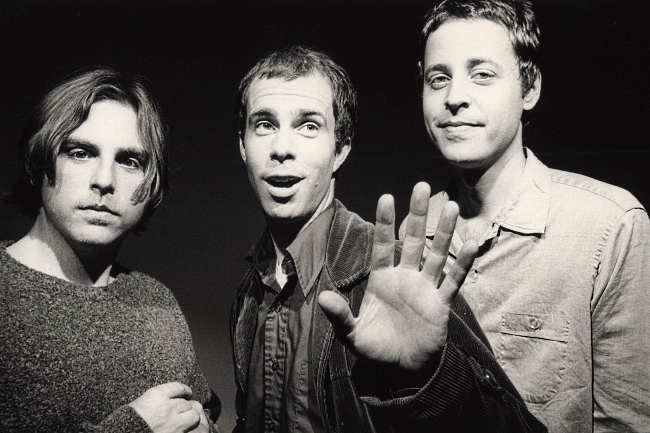 We were at the awesome Ben Folds show last night at the The Carolina Theatre so we thought this would be a great time to feature Ben Folds Five on our Carolina Music Fridays. The three-piece alternative band consisted of Folds on piano, Robert Sledge on bass, and Darren Jessee on drums. Ben Folds Five formed in 1993 and lasted until 2000. The band briefly reunited in 2012 for an album and tour. The band released four studio albums: 1995's Ben Folds Five, 1997's Whatever And Ever Amen, 1999's The Unauthorized Biography Of Reinhold Messner, and their reunion disc, 2012's The Sound Of The Life Of The Mind. Ben Folds Five had one hit during their career, "Brick," a song about abortion. From 1996, here's Ben Folds Five with "Undergound."